Home » Blog » Is A Microloan Right For Your Business? Is A Microloan Right For Your Business? If you are a small business owner, and are considering financing options, a microloan might be right for you. To help you determine if a microloan is right for your business, continue reading below. Historically, traditional financial lenders (banks) in the United States haven’t particularly liked dealing with microloans because they have not been profitable financial products for them to market. Since there continues to be small business formation and growth in the US, alternative lenders have filled this financing gap by providing innovative ways to help small business owners, while also making a profit by offering these smaller loan amounts. 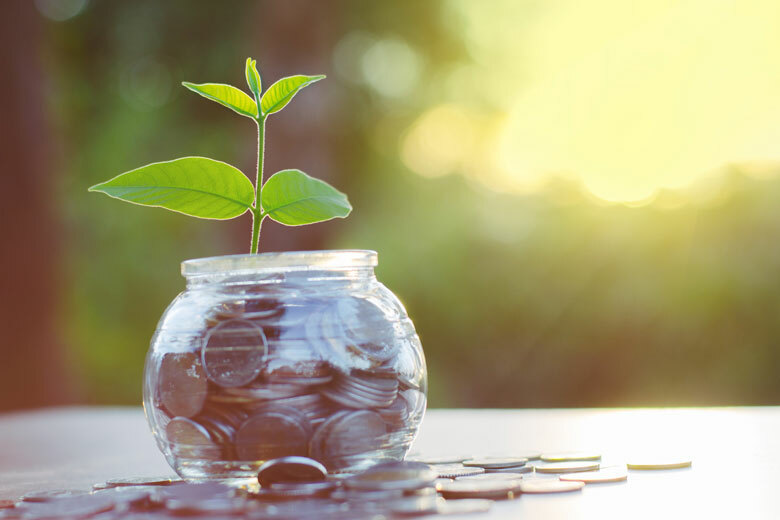 The popularity of the microloan as a small business option has increased dramatically in the last five years due to the financial crisis of 2008 and the extended recession that is still being felt in many areas of the country. There is still low availability of small business loans through traditional banks, and the drop in real estate prices has prevented many from obtaining home equity loans to finance businesses. This has been compounded by foreclosures, layoffs, and other significant financial issues that have impacted the credit reports of millions of Americans. This perfect storm of challenging financial times and a very tight credit market has led to the increased demand for microloans. The Small Business Administration (SBA)is the largest microloan lender in the US. The SBA provides these loans via their intermediary lending network (typically national and community banks), not directly to the small business. The SBA microloans are under $50,000, with an average amount of $13,000. The intermediary lender will have their own guidelines for loan approval, since they assume the financial risk on the microloan. In general, the microloan loan amount that your business can qualify for will be based on the amount requested, how your business will use the funds, your personal financial situation and your personal and business credit history. The SBA puts few limitations on microloans with the exception that the funds cannot be used to pay off existing debt or purchase real estate. The small business owner is also required to receive third-party business training prior to receiving the funds to help them use their loans wisely and to achieve their business goals. While the SBA does guarantee loans through their microloan program, the small business owner still needs to work with their intermediary lending network during the application process, and creditworthiness is evaluated. Thus, those business owners with less than stellar credit are often at a significant disadvantage, and many simply do not qualify for the SBA Microloan Program. Hence alternative lender microloan programs are an alternative. A microloan is similar to any other small business loan. You will need to apply through the alternative financial lender and you will need to be prepared to answer questions that will be important to your lender. Lenders will want to see a detailed business plan, credit history, and specific plans for how the funds will be used. While your personal and business credit score will be taken into consideration, the requirements for credit scores and credit history tend to be more flexible with microloans. Being prepared will increase your chances of being successful in acquiring funding. The maximum repayment term varies by lender, with periods from one to two years. Interest rates on alternative lender microloans will be higher than and SBA microloan, normally between 12 and 18 percent. Is A Microloan Right For Your Small Business? As with any business financing, before you begin the process of applying, you should evaluate the current status of your small business and its future plans. If the next step in its future plans requires additional financial capital, you will need to consider how much is needed, the timeframe and your options for getting the additional capital. You should first consider your existing relationship with your bank. If this is not a viable financing option (due to timeframe needed for the funds or business credit history), business or personal lines of credit should be considered. However if your business has limited credit options, a microloan might be the solution to your business funding needs. While an alternative lender will do their due diligence in review of your personal and business credit history, they are more likely to look at the “big picture” of your small business profile and future plans for the capital. This is why a clear, detailed business plan will aid your application request. Having your business marketing efforts identified, details on your monthly expenditures, will provide the alternative lender a better idea for what you’ve been able to accomplish so far and what you need in terms of financing to grow. For many small business owners, a microloan can make a huge difference in their future business success when the funds are invested wisely. Also, this helps your business financial history, and will prepare you for borrowing larger amounts at a later date when you want to take your expansion plans to the next level. Paying back a microloan can also help your business develop a strong credit rating. If your business requires more than $50,000, a microloan by definition will not be the right option for your business. What is a microloan is presented, guidelines and types of uses by the small business. SBA traditional lender network and alternative financial lenders are discussed with their differences in how they evaluate potential loan borrowers. Factors to consider by the small business owner in search of additional capital are considered along with the microloan as an alternative.